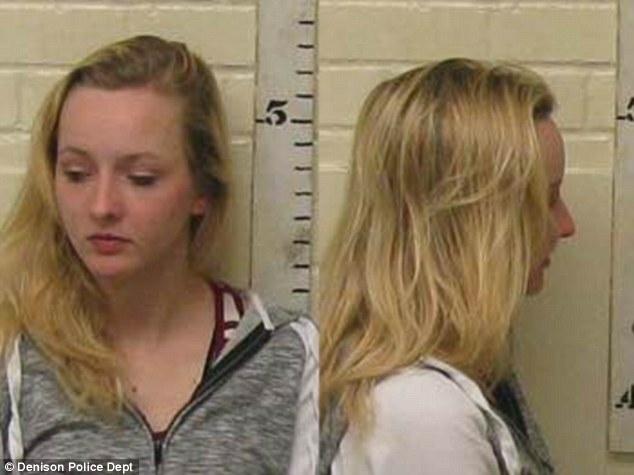 A Texas teenager has admitted that her claims she was kidnapped and gang-raped by “three black males” were a hoax, according to police. 19-year-old Breana Harmon Talbott was reported missing earlier this month by her fiancé, who said that he had found her car with its door open and personal effects such as her phone nearby. Talbott later reemerged in the city of Denison the same day, interrupting a service at a local church by walking in with visible scratches and only a shirt, bra and underwear. although investigators and K-9 teams scouring the area where Talbott says she was taken and assaulted, found several pieces of evidence, more of clothing and other personal effects, medical examiners “were unable to corroborate that Talbott had been sexually assaulted,” police said. Denison Police said in a statement released Wednesday, two weeks after the alleged incident, that detectives soon developed doubts about her account and that the teen admitted to the hoax on Tuesday night. The alleged victim also admitted to staging the church entrance and causing the cuts to her body herself. According to Denison authorities, many people in the community fell victim to Breana Harmon Talbott’s hoax. The fallout also affected the local police department who were quickly disparaged by Talbott’s family and friends. Social media comments and opinions were rife making it difficult to focus on solving this case. Police said even though they originally assumed the case to be legitimate, officers quickly started doubting the validity of the alleged crime.